The Reunion Committee (masochists all) are pleased to announce the plans for the grand 50th Forest View High School Class of 1969 reunion! Registration is open and tickets may be purchased NOW! Please click on the link on our homepage (http://www.forestview69.com) titled 50th Year Reunion for more information and to purchase tickets, make hotel reservations. Contracts have been signed, deposits paid, and we are proud of the weekend we have put together. As of this writing, there are just 6 months, till the reunion! Those that commented that you wish you had more time to plan should have plenty of time now. But even though this seems a long time away, there will be deadlines or "first come" dates to remember, so please read carefully and note accordingly. While you say "distant future" the Committee is saying "already?" and are working hard to make this a great night for all. 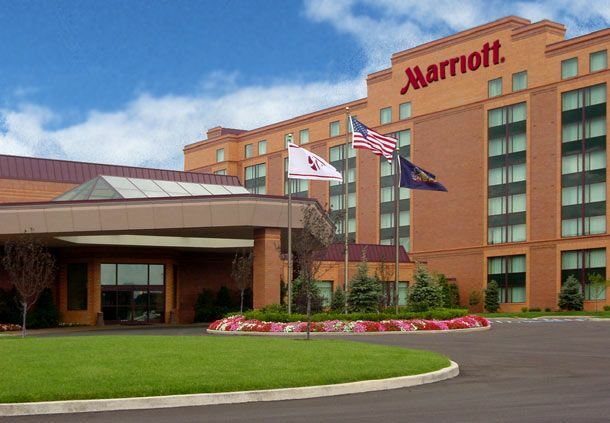 The hotel we’ve chosen as our base of operations is the Chicago Marriott Northwest in Hoffman Estates, same as the 45th. Everyone had a great experience there, nice rooms, lots of nooks and chair groupings to encourage conversation and catching up. Our nightly rate is $89.00 per night, parking is free, and they have a GREAT bar that was thoroughly enjoyed last time, and it's open till midnight. The address is 4800 Hoffman Boulevard, Hoffman Estates, IL 60192. The guest rooms are beautiful, and we have negotiated a tremendous deal; normally the weekend pricing is $119 per night. But for the Class of ’69, our reduced rate is just $89.00. The RC Grille is onsite which features a full buffet with custom omelets and eggs cooked to order in addition to a regular menu. The hotel features an indoor pool, a fitness center, and room service. This will truly be our reunion hub, so even if you live in the general area, don’t miss out on all the great times and camaraderie, and consider staying the weekend with us. This link will only be valid through 9/12; after that you will have to call for availability and pricing. If you are a Marriott Rewards member, make sure you have your number available to get full credit for your stay. While not hosted. 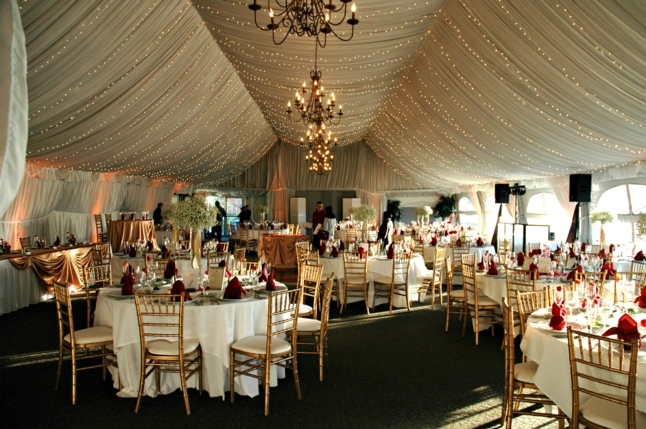 we will provide information on several “Optional” and “On Your Own” events. Optional Event - The first official offering this year, will be a repeat of the highly successful and enjoyable gathering on Friday night at 7:30, a “Taste of Chicago” pizza party held in a private area at Georgio’s Chicago Pizzeria and Pub in the Arboretum shopping center in South Barrington (100 W. Higgins Road). This is just a mile from our hotel and we will run shuttles or just make the two-minute drive. 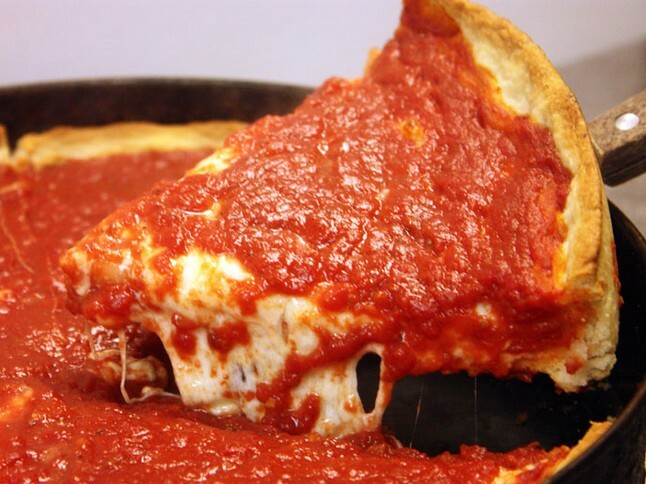 Voted Best Pizza in McHenry County, we will be enjoying both thick and thin pizzas and soft drinks, coffee, tea and a dessert or two for just $25.00 per person (beer will be provided by a couple of the Committee members). Open to all classmates (not just hotel guests or those attending the reunion main event), you need to buy tickets early as we must limit the number of guests to FIFTY (50), first come, first served on tickets. After pizza, we will reconvene back in the bar at the hotel so even if you didn’t come for pizza, consider meeting us down in the bar at 10:30 or so! Optional Event - The day begins with breakfast at your leisure. But don’t eat too much as we’ve planned a bit of walking when we re-visit the Forest View campus. A lovely lady named Erin Brooks will be our tour guide as we walk the nostalgia filled halls, gymnasiums and courtyards of our alma mater. The hosted tour will begin at 10:00 a.m. and last 60-90 minutes. Some of us did this at the 40th, but we hope to have lots of new faces at the 50th and those that missed on the 40th should find this a most enjoyable start to the day; spouses are encouraged to attend even if they went to a lesser school. District 214 has limited the attendance so make your reservation on our website and this is one of our “first come, first served” events. And there is no charge of course. The end of the tour coincides with the start of lunch hour and though nothing formal is planned, some will take advantage of being near Golf Road and grabbing a hot dog or Italian Beef at the Portillos in Schaumburg. That address is 611 E. Golf Road (look for the Police cars and turn left). “On Your Own” Suggestion - Feeling lucky? Try your hand at poker, play the slots, or throw the bones! The Grand Victoria Riverboat Casino is located just seven (7) short miles away, an easy 12-minute drive from our hotel. There is no charge to you for this event; here’s a link to their webpage: http://www.grandvictoriacasino.com. “On Your Own” Suggestion – For those feeling lucky, but don’t wish to brave the high-seas of the Fox River and the riverboat, try your luck in the OTB parlor in The Track Room at The Saddle Room restaurant located right next to the Cabellas, just 1.5 miles from the hotel. Place a bet on the horses, play a hand of video poker, or enjoy the slots! Grab some classmates and go have some fun. Here’s the link: http://thesaddleroomrestaurant.com. 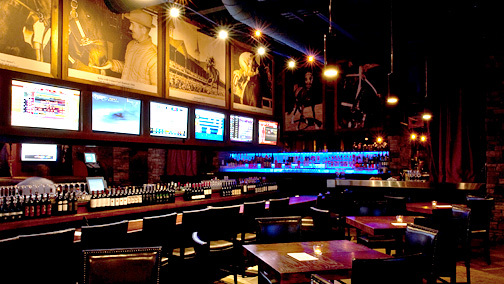 Here you can enjoy a fabulous lunch, place a bet on a horserace from whatever track is operating across the U.S., or enjoy a glass of one of the 46 wines offered by the glass in The Wine Room. No sign-up is needed. “On Your Own” Suggestion – For those of you not inclined to gamble and want a sure thing, the odds are in your favor that you will find more than one fabulous wine by attending a tasting at the Lynfred Winery in Roselle. Just eleven miles from the hotel, you are less than a 20-minute drive from an $11.00 tasting of seven (7) different wines, both red and white. 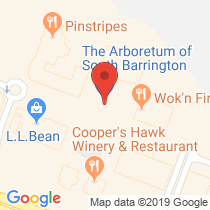 If you’d like to learn more about the wine-making process, a public tour (no charge) is offered at noon as they take you through their winery and tell you about the wine-making process. The Committee felt it our obligation to check it out and can tell you we had some very fine, and different, wines. Though no gambling is allowed, we bet you still have a great time. You will have to drive yourself (better still, grab some classmates and car pool over). Here’s a link to Lynfred’s web page: http://www.lynfredwinery.com. Our hotel is located just a short three-minute drive to The Arboretum shopping center. There you will find many cute shops and restaurants and maybe a great place to spend an hour or two. The hotel runs a regular shuttle to and from the center; check with the front desk for their shuttle schedule. Here’s a link to the Arboretum’s website: http://www.shopthearb.com. Because this marks such a special anniversary for the Class, we have gone to a bit more-fancy affair, an evening of good food, good fellowship, and good music (and dangerous dancing!). 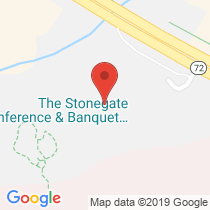 We have finalized the contracts to hold the 50th Reunion of the Class of 1969 at The Stonegate Banquet Centre at 2401 W. Higgins Road, Hoffman Estates, in the Lakeside Pavilion. Dinner will be just a short 7-minute drive from our hotel. The event will begin with no-host cocktails at 6:00 PM with dinner starting at 7:00. When purchasing tickets, you will be asked to select from three (3) entrees, beef, chicken or salmon. Following dinner, we will dance till the witching hour of 11:30. The Pavilion will have twinkling stars and decked out in our school colors as we anticipate a wonderful evening with friends and classmates. And as we did five years ago, we will try and have one last meal together as we gather at 9:00 for brunch at the RC Grille. While everyone, reunion attendees or just those from the area, are more than welcome; but please let us know so that we can make sure we have enough space set aside for you. If you plan on coming to brunch, remember there is a full breakfast menu as well as a buffet ($15.95) which includes custom omelets. So come one, come all, and let’s enjoy the company of our classmates of the FVHS Class of 1969 once again! We ask that you make your hotel reservations as soon as possible. And please remember that the school tour and the pizza party have limited slots! Please purchase your tickets to the Main Event as early as possible. Doing these things early will allow The Committee to adjust the numbers expected, modify the guarantees as needed, and make the weekend go as smoothly as possible. We think we’ve put together a great weekend and hope everyone responds as early as possible to help us make this a fabulous experience for you. And lastly, PLEASE help spread the word. 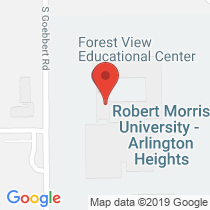 If you are in touch with classmates not on our webpage, please direct them to there (http://www.forestview69.com) or just forward this e-mail to them. Thank you!